The arts are a central part of the Carolina experience. Each day, diverse arts programs and courses connect members of the UNC-Chapel Hill community to one another and to the ever-changing local and global culture. Transformative and dynamic, the arts reflect the University's pursuit of new knowledge and commitment to public service. Learn more about the creators and visionaries engaged in the arts at Carolina, a campus with world-class exhibition and performance spaces where creative energy flows from the classroom to the quad. 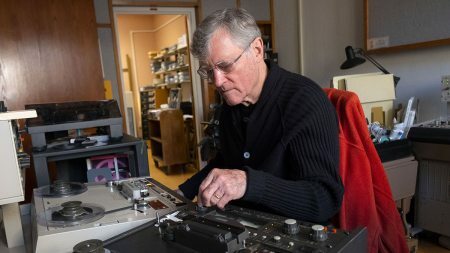 Bill Ferris spent his career documenting the stories and music of the American South. His life's work has now resulted in two Grammy awards. 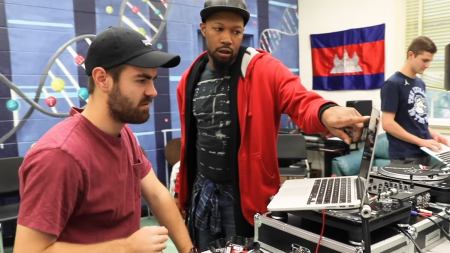 Press the play button to see how a Carolina class is challenging students to examine the role of the DJ in modern music and culture. 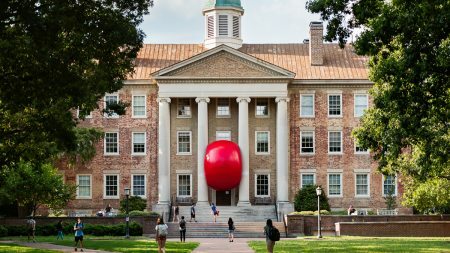 To celebrate the Ackland Art Museum's 60th anniversary, the museum is hosting the world-renowned RedBall Project for a weeklong performance throughout campus.